The perfect Villa Holiday destination: Just a 4 hour flight from the UK and Ireland and a little over 50 miles from the coast of Africa, Lanzarote is on the same latitude Florida and Dubai; you can enjoy sunshine and beautiful beaches all year round! Why choose a Villa Holiday? Renting a private villa with a pool that there is no jostling for position and trying to drown out the noisy conversations of other holidaymakers; just you and your partner, friends or family, with unlimited access to your own private swimming pool .Taking a villa with a pool in Lanzarote means you can truly relax and enjoy your holiday in peace and quiet! Costs Less than you Think: Our Villas Sleep from 2 up to 12 people., with options to suit all budgets. 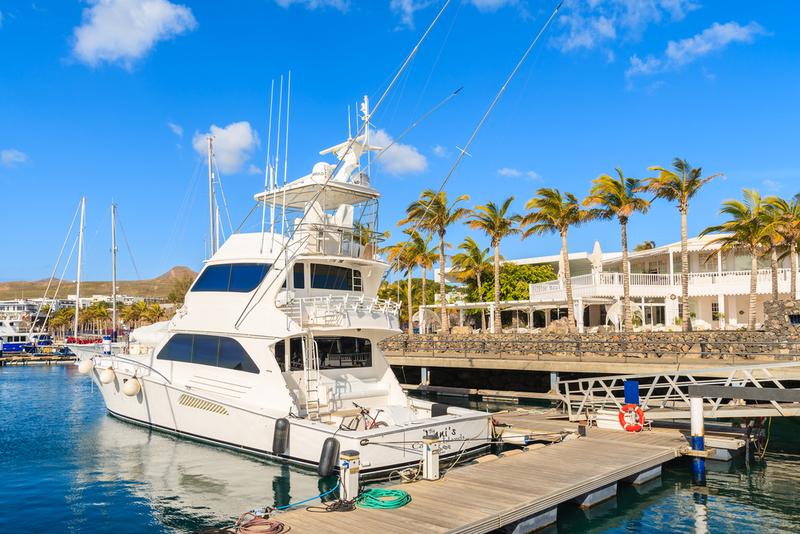 Puerto Calero, is an upmarket marina with some of the finest restaurants on the island. The water-front harbour bars are a great place to people watch - especially those disembarking from the super yachts moored in the harbour! 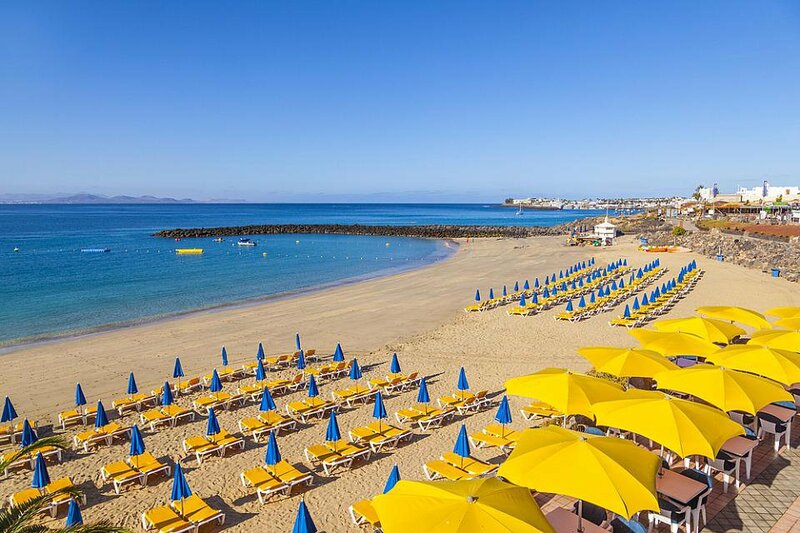 Playa Blanca: located on Lanzarote's sun-drenched southwest tip, is a quiet resort with some of the best beaches. The old town surounds a sweeping white sandy beach - from which Playa Blanca gets its name - and is flanked by numerous waterside cafes and restaurants. It is a memorable setting. Puerto Del Carmen: Originally a small fishing village, Puerto Del Carmen has grown into a delightful holiday resort, saved from the high-rise buildings that blight so many other destinations due to the strict planning restrictions. The 6km golden sandy beach, along with the shallow water, is particularly suitable for young families. The old town's harbour offers enticing little tapas bars and waterside fish restaurants. Narrow winding backstreets, with pretty whitewashed walls lead to a chic shopping mall with smart boutiques. Puerto Del Carmen is a holiday destination to please every taste and style. 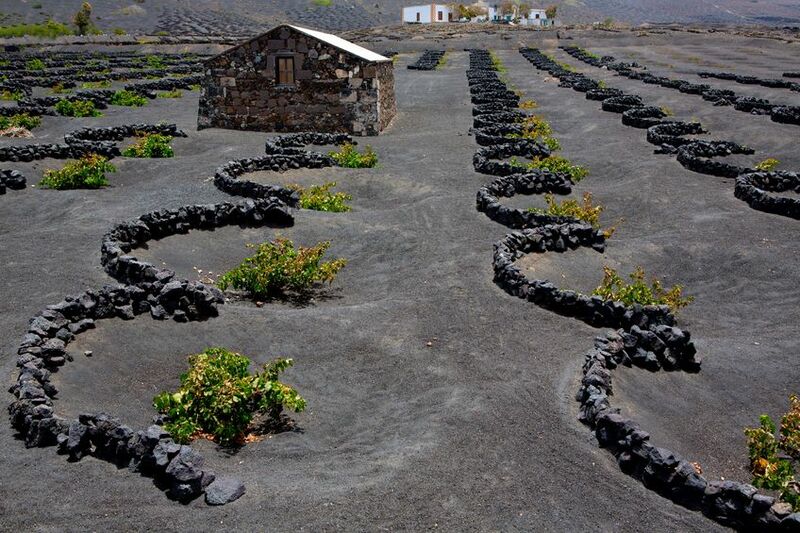 Despite Lanzarote's near zero rainfall, the locals have found an ingenious way to grow grapes and they produce the most sensational dry white wines. Several vineyards offer superb restaurants specialising in local tapas washed down by the homegrown wine - it is not to be missed. No visit to a Spanish island is complete without a meal at a local tapas bar - a variety of small portions to share. It is a great way to experience different tastes and dishes, with the local speciality being fish and camel!! Villa Isla De Lobos is located in Puerto del Carmen on the Spanish island of Lanzarote. This vacation rental property is air-conditioned and sleeps up to 6 people with 3 bedrooms, 2 bathrooms along with private, heated, swimming pool. The property is walking distance to the beach and restaurants. Villa Casita Cinco is located in Matagorda on the Spanish island of Lanzarote. This detached vacation rental property is air-conditioned and sleeps up to 4 people with 2 bedrooms, 1 bathroom along with private, heated, swimming pool. The villa is walking distance to the beach and restaurants. Villa Princesa Guayarmina is located in Tias on the Spanish island of Lanzarote. This detached vacation rental property sleeps up to 7 people (6 adults and 1 child) with 3 bedrooms, 2 bathrooms along with private, heated, swimming pool and sea views. The villa is walking distance to restaurants.